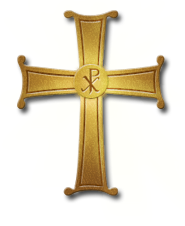 Why an Orthodox Christian School? In an effort to fulfill the Mission of the Parish as defined by the Uniform Parish Regulations of the Greek Orthodox Archdiocese of America and pursuant to the directive given by the Strategic Planning Meeting of the leadership of the parish which took place on December 8, 2012, the Parish Council has directed the formation of an Education Planning Committee in order to look into the possibility of establishing an Orthodox Parochial School on our campus. The Education Planning Committee has been meeting since the Spring of 2015 investigating the various types of Christian schools that exist around the country, interviewing people who have done this kind of work before and looking to understand the various facets of this undertaking in order to make the best decisions possible. The Committee consists of twelve members from various walks of life, including educators, both priests of the parish, as well as the Parish Council President. The ultimate goal of the Committee is to establish an Orthodox Christian School that will provide the highest quality of education while also including the teaching of the Christian Faith as it has been handed down to us through the Orthodox Church. Pursuant to the request of the Parish Council, the Committee conducted a survey of the parish in order to determine the pulse of the parish with respect to the establishment of an Orthodox Parochial School. The results of the survey will be published in the near future. The Committee is committed to establish a school that will be financially self sufficient, tuition based and also funded through grants from foundations and other private donors. The school will not be a financial burden on the parish, but will rather strive to help the parish in every way possible to fulfill it’s mission. As the work of the Education Planning Committee progresses and we have more announcements, we will be developing this webpage further providing everyone with updates. Here is also an interesting video about the Orthodox Classical School in Wichita, Kansas, which has developed into the “Christ the Savior Academy” (http://www.christthesavioracademy.org). Watch here the Q&A Session with members of the Education Development Committee of our Parish, which was held on Sunday, April 17 after the Divine Liturgy.